Another interesting presentation is about Amazon.com. Amazon is supposedly one of the best sites for usability out there. It’s in their financial interest to be easy to use, because when ecommerce was new, it needed to be friendly and predictable to its users to succeed. Amazon is a “new” way to buy things and breaking the ice with new Internet users was a tricky chore for them. Check out the pages about 1/2 way through about the site redesign options, pretty interesting usability research. P.S. First picture post! 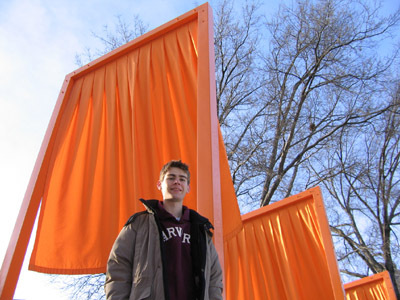 This is me at The Gates last February.